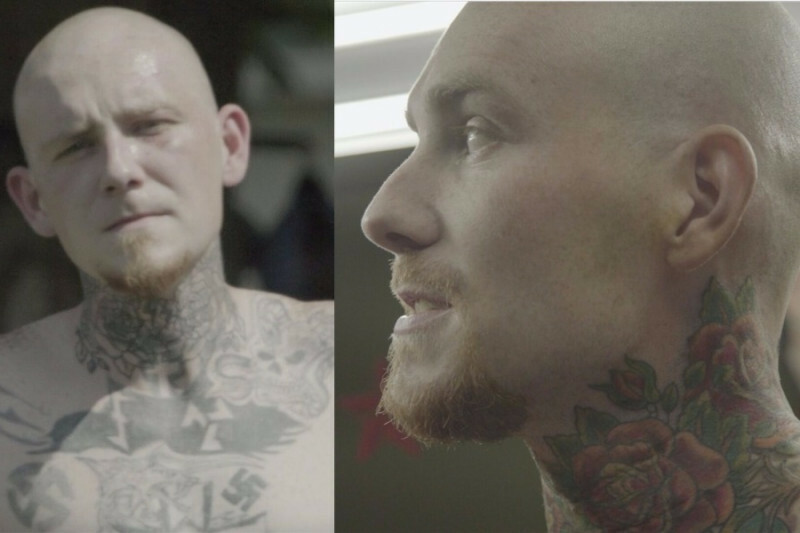 Great news - Southside Tattoo is thrilled to share that GoFundMe Studios found our story and created a documentary about Shane Johnson, a man we covered tattoos for. Please take a moment to watch it below so you can see more deeply into the Random Acts of Tattoo Project. We appreciate your sharing this video and this campaign - we hope to keep raising funds so we can continue to play a part in incredible stories of transformation like Shane's. Thank you sincerely! What started as a small gesture to help our community went world wide! Our goal was to help ex gang members in Baltimore cover their gang and racist tattoos so that they could get rid of the constant reminder of a past life. We have gotten hundreds of inquiries about work, some near, some far. We want to help as many people as possible, but know there are costs for supplies and travel. Our goal is to form a non profit collective of artists from all over the world and get people the services that they need for free! We have had an overwhelming request asking where donations could be made. We are truly humbled to have the ability to heal others through our art... no strings attached. $150-$500: We partner with local tattoo removal services all over the country, and this amount pays for one session of laser tattoo removal for someone wanting a fresh start. $100,000: This amount would pay for a laser removal machine. We'd love to buy one of our own and will continue fundraising for it! Thanks for spreading the love ♡ Sometimes people make bad choices, and sometimes people change. We, at Southside Tattoo would like to make a difference. If you, or someone you know has a tattoo that is GANG or RACIST related, and you want it covered... WE WILL COVER IT FOR FREE. No questions asked. If you would like to make a request for a cover up, go to www.redemptionink.org! We are happy to announce two new Sister shops that have joined the Redemption ink team! Shelton Tattoo studio in Shelton, CT and Nico Tattoo Svolou from across the Pond in Thessaloniki ,Greece! Hi my girlfriend made the choice back when we were using to get a swaztica on her throat, we are both clean now, and have a one year old son, i work full time and am on drug court , and money is tight for us and she really wants to get a job but gets shutdown everywhere she goes, she has created a go fund me account to see if we can get enough money raised to get her a cover up, are you guys connected with any artists near longview Washington??? Or can you help with the funding for her go fund me??? She's on Facebook as Maddie Taylor Tautfest you can see pics of the tat there any info or help is appreciated keep doing what your doing this is awesome. No idea how to do this, but if you're able to set yourselves up on Amazon Smile, I'll gladly send my contributions your way. Is there a tattoo shop in Northern California that is a part of this? Or anywhere in California. This is amazing! Would love to see so many people in northern Cali be able to take advantage of such an amazing act of kindness! Hopefully this will include removing any DNC tattoos since they are the biggest racist gang in existence. This is amazing, I have an intense racist tattoo from being with a racist abusive person for 8 years as well as there name. Any artists on long island willing to help in anyway, it's a big tattoo on my top left arm, huge swatika flag and Confederate flag with ss bolts I have been hiding it for 4 years. God bless! What a wonderful story and idea. Will donate, if you could please take a look at my campaign.. It means a lot to me and any kind of donation would be highly appreciated. I am an ex skinhead gang member and racist tattoos and want them gone. I don’t care if they are covered or removed I just don’t want these tattoos on my body anymore. I can’t even look in the mirror Mirror with out seeing them and it makes me sick to see them. Can you guys help me please I live in northern Utah. I am 82, no tatoos. Go to gym weekly, so far I see no hate tattoos there. God bless you for the good you are doing! Encouraging- one more step to help make our America Great again! I remember when ------I want to donate a little but not on line. South side Tatoo, Brooklyn Park, MD? you guys are doing an amazing thing. Anyone wanting to erase the hate that once filled their hearts should be given the opportunity. Thank you for doing this. everyone deserves a second chance! Fuckkk all the baby boomers who can’t see the issues in front of their face. Thank you so much for giving so many people in need a second chance. In a world full of hatred, you are rising above and spreading love. I have donated in memory of a special young lady who would have loved this cause and have shared with her community. Thanks again! I own a shop in Nc and what you guys are doing is great! We are a new shop and would love to get to the point of being able to offer this! There are so many hateful out there. Thank you for what you are doing! People DO change! do you folks have any partnered artists in the Atlanta area? the tattoo I desperately need to cover isn't gang related, but was definitely purchased when I was in an unhealthy mental state. no one hasnt wanted to attempt the cover since its solid black lettering except this one artist i found and naturally, hes pricy. I have a photo and story on my page. I donated because I love this concept. This is real compassion in action. People change. And people judge. Despite all of this country 's talk of tolerance it can be hard to get a new start. What you're doing, is amazing. Thank you for what you do. How do we clone you? We need more love. I donated because this is an awesome idea. Thank you for doing this!